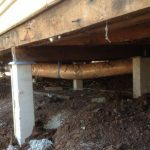 Underpinning Somerton offers home underpinning, restumping, crack repairs, reblocking, floor leveling and new extensions services in Somerton. 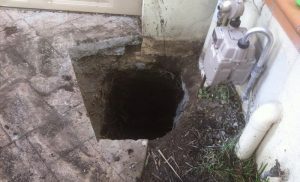 Five Star Underpinning is a renowned name offering most affordable, professional, and reliable underpinning solutions all across Somerton for more than 30 years. We are an insured company giving full assurance and 10 years warranty on our all our services. Our clients get the best of underpinning and restumping solutions because customer satisfaction is our first priority. Welcome to Five Star Reblocking – we deliver sound and safe underpinning solutions for your residential and commercial properties all across Somerton. 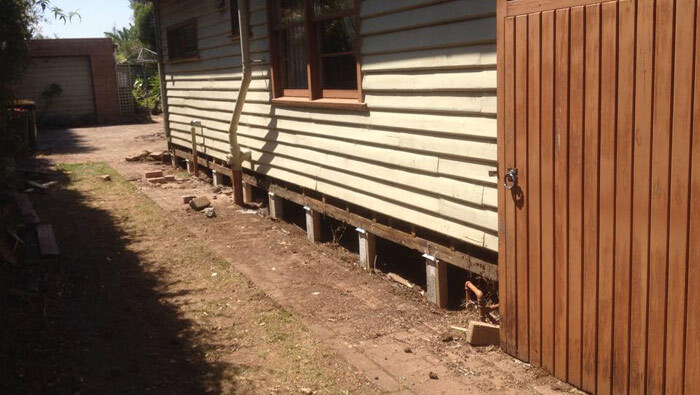 We provide underpinning, reblocking, floor levelling, and building extensions in Somerton. With over 30 years of experience we are a trusted name in the industry. We assure you of unmatched customer service, highest standards for underpinning services, and complete peace of mind with our custom made solutions. Do contact Five Star Reblocking Somerton and we can resolve any of the above problems with excellent underpinning and other related services. Underpinning refers to the process that restores an unstable foundation and makes your home stronger and more stable. If your home is made of brick veneer walls and concrete slabs then it is bound to get affected over some years. We use heavy jacks to support the cracked slabs and then do brick alignment with concrete to achieve stability. To deliver peace of mind along with our services, we provide 10 years of guarantee for our underpinning work in Somerton. Reblocking and restumping are the two names of the same process, which involves replacing of existing stumps in a building. When the existing stumps of your building fail or get damaged, then it is time to opt for restumping/reblocking. Damaged or deteriorated stumps can lead to structural damage to the building. We dig up the foundation and replace old stumps with new ones. We use a concrete pump in this process that cuts down on the time taken for the entire process. Do you see jammed doors, uneven floors, or cracks in floors at your home? May be it is time to you opt for floor levelling. Your floors need levelling when they face differential settlement. Our experts use hydraulic jacks for the job. However, in most cases underpinning is required as a prerequisite before floor re-leveling. We are always available for a free consultation at Five Star Reblocking Somerton call us anytime! Five Star Reblocking provides dependable and affordable building extensions in Somerton. Whether you are looking to extend your home or improve it – we can do whatever it takes to give a satisfactory service. Apart from repairs and renovations for your home, we also do new extensions for both front and rear part of your building. What’s more? Our quality services and fully insured extensions make it further easier for you. And stay assured that we don’t leave any mess behind. When you hire Five Star Reblocking Somerton for restumping services then you don’t have to worry about building permits. We understand that paperwork is a complicated task and we don’t want you to spend your precious time on it. Therefore, we take care of all the reblocking paperwork regarding building permits to make it easy for you. We take all mandatory permits and adhere to all job specifications set as per the council report state. Five Star Reblocking Somerton provides 10 years guarantee for all our underpinning, levelling, extensions, and reblocking services. So you can be sure that your money is being well spent! Five Star Reblocking Somerton is a 30 year old company delivering guaranteed underpinning and reblocking services in all suburbs of Somerton. We provide reliable, professional, and affordable services with customer satisfaction as our first priority. We are licensed and certified. We are locals of Somerton. We provide free, no-obligation quote. We work on weekends and public holidays as well. Your safety is first concern at Five Star Reblocking Somerton. Get in touch with one of our executives at Five Star Reblocking Somerton regarding any of our underpinning services or to resolve any of your queries!